Tomas Christensen (N'Evergreen) was born on 12 November 1969 in Aarhus. As a child he dreamed of playing the drums, but his mom forced him into piano and violin. Over the years, the passion for drums hasn't stopped, and Thomas had to build himself drums from cans. He wanted to play different music. Not so long ago, his plans were realized - he created a project called "N'Evergreen". 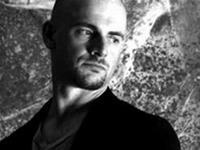 N'Evergreen began as a duo: Thomas composed and played along with the audio engineer and co-producer Jakob Johansen. Following the departure of Jakob for some time Tomas played with Peter Stinegard. And then he wrote the song "Since You've Been Gone", added it to the pending "on the shelf" album, and has issued this CD at home, in Denmark, under the pseudonym "Tomas Tomaz". Europe still was not paying attention to "the Danish prince", but a new song, written in a desperate situation, suddenly conquered the country with a much larger territory - Russia! Another previous work of N'Evergreen - the song "Every Time (I See You Smile)" - became known in the Russian television and radio broadcast. A track "Since You've Been Gone", immediately after getting on the radio, appeared at the top of most charts. The album was meticulasly recorded over a two year period in Europe and America with some of the world's finest musical talent supporting Tomas. Strings were provided by the Budapest Symphony Orchestra, backing vocals were done by singers who back Stevie Wonder. The album's mixing was done by the Los Angeles technician John Van Nest who mixed Michael Jackson's History album and at times can hear the influence of Michael Jackson on the record. "I did not believe it first, but then we started to receive e-mails, invitations to come to Russia to play here. So there I was ... Until now, I wake up at night and try to pinch myrself to realize that this is not a dream. Although maybe I do still sleep"- smiles Tomas. Living from 2003 in Russia, leader of N'Evergreen didn't find only recognition there. 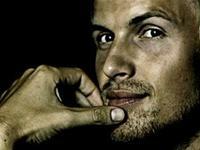 For three years he was the husband of ex-soloist of A-Studio Polina Griffiths (also participant of the preselection). "I love Russia. Despite I come from Denmark, my home is here", says singer. Tomas has followed up the success of the album with the hit singles "Just Another Love Song", and "She Believes in Gold" and he is continuously on tour through out the world. 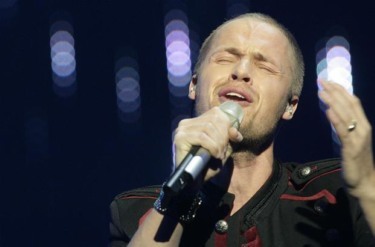 In 2009, his song "How Can I Make You Love Me 'in rotation on Danish P4, and the same year he reached the finals of the Russian Eurovision Song Contest with the song' One More Try '. Christina ChanГ©e is the only child of his Danish mother and Thai father. She began singing about the same time that she learned to speak. In an age of only 17 years, she had already won several talent competitions and her first songwriting competition. Inspired by her foreign roots and driven by a perpetual desire to explore herself and the world, she spent some years living in various parts of Europe and Asia. In 2003 she won with songwriter Johann Peisner a soundtrack competition for the movie "Anja after Viktor" with the track "Gone Away". That same year she recorded the title song for the movie "Askepop". In 2004, Christina ChanГ©e was a singer in "Nubian Fraulein" on DR1 in the entertainment program "Finally Friday". That same spring, they released their album on BMG. During recording of "Finally Friday" she met Kid Creole, who was guest soloist. He contacted her later in the year in its setup of "Marvin Gaye - The Musical, and she got the lead female role as "Jessica" in the musical, which included Kid Creole, Kele Le Roc (Basement Jaxx) and where Marc Anthony also participated. The musical was a success and led to Christina today is also a singer in the group "Kid Creole And The Coconuts" which is touring around the world. In addition, Christina has recently had a role in the popular TV series "clown". She has just released single 'Breathing' from her debut album, which will come during the summer of 2010. "I was asked if I wanted to sing a song in the Danish Melodi Grand Prix, written by some Swedes, and when I heard the first chorus of the demo, I realized that this is a very perfect match for me, which can reach the top not only locally, but in Olso as well. So I'm very pleased. Since the song is a duet, we tried to find perfect female singer for it. We have auditioned over 50 singers before we decided to choose Christina Chanee. Our song is a pop / rock song of 95 BPM, then an uptempo ballad that sends thoughts in the direction of The Police, Tina Turner and ABBA too, because it is written by the three Swedish hitmakers. We have the best song I've heard in the Eurovision context for many years, even when we talk international auspices. I hope that my popularity in the East Europe, Russia, Ukraine, Georgia, Belarus and elsewhere, will mean that we can get many votes from them". 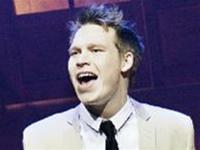 Composer Thomas Gustafsson (G:son) has previously played in rock band and wrote songs for the last 12 years. He has had approx. 40 songs in the Eurovision Song Contest preselections and has taken part in Eurovision as representative of Sweden, Norway and Spain now bringing his total to 4 countries. Listen to "In Moment Like This" here and watch complete national final show here. Watch NF performance here, reprise here, TV2 performance here. РўРѕРјР°СЃ РљСЂРёСЃС‚РµРЅСЃРµРЅ СЂРѕРґРёР»СЃСЏ 12 РЅРѕСЏР±СЂСЏ 1969Рі РІ РћСЂС…СѓСЃРµ. Р’ РґРµС‚СЃС‚РІРµ РѕРЅ РјРµС‡С‚Р°Р» РёРіСЂР°С‚СЊ РЅР° Р±Р°СЂР°Р±Р°РЅР°С…, РЅРѕ РјР°РјР° Р·Р°СЃС‚Р°РІР»СЏР»Р° Р·Р°РЅРёРјР°С‚СЊСЃСЏ С„РѕСЂС‚РµРїСЊСЏРЅРѕ Рё СЃРєСЂРёРїРєРѕР№. РЎ РіРѕРґР°РјРё СЃС‚СЂР°СЃС‚СЊ Рє Р±Р°СЂР°Р±Р°РЅР°Рј РЅРµ РїСЂРѕС…РѕРґРёР»Р°, Рё РўРѕРјР°СЃСѓ РїСЂРёС€Р»РѕСЃСЊ СЃР°РјРѕРјСѓ СЃРѕРѕСЂСѓРґРёС‚СЊ СЃРµР±Рµ Р±Р°СЂР°Р±Р°РЅС‹ РёР· Р¶РµР»РµР·РЅС‹С… Рё РїР»Р°СЃС‚РёРєРѕРІС‹С… Р±Р°РЅРѕРє. РћРЅ С…РѕС‚РµР» РёРіСЂР°С‚СЊ РґСЂСѓРіСѓСЋ РјСѓР·С‹РєСѓ. РќРµ С‚Р°Рє РґР°РІРЅРѕ РЅР°Р·Р°Рґ РµРіРѕ РїР»Р°РЅС‹ СЂРµР°Р»РёР·РѕРІР°Р»РёСЃСЊ вЂ” РѕРЅ СЃРѕР·РґР°Р» РїСЂРѕРµРєС‚ РїРѕРґ РЅР°Р·РІР°РЅРёРµРј "N'Evergreen". РќР°С‡РёРЅР°Р»СЃСЏ N'Evergreen РєР°Рє РґСѓСЌС‚: РўРѕРјР°СЃ СЃРѕС‡РёРЅСЏР» Рё РёРіСЂР°Р» РІРјРµСЃС‚Рµ СЃРѕ Р·РІСѓРєРѕСЂРµР¶РёСЃСЃРµСЂРѕРј Рё СЃРѕРїСЂРѕРґСЋСЃРµСЂРѕРј РЇРєРѕР±РѕРј Р™РѕС…Р°РЅСЃРµРЅРѕРј. РџРѕСЃР»Рµ СѓС…РѕРґР° РїРѕСЃР»РµРґРЅРµРіРѕ РўРѕРјР°СЃ РЅРµРєРѕС‚РѕСЂРѕРµ РІСЂРµРјСЏ РѕРЅ РїРѕРёРіСЂР°Р» СЃ РџРёС‚РµСЂРѕРј РЎС‚Р°Р№РЅРіР°СЂРґРѕРј. Рђ РїРѕС‚РѕРј СЃРѕС‡РёРЅРёР» РїРµСЃРЅСЋ "Since You've Been Gone", РґРѕР±Р°РІРёР» РµРµ РІ РѕС‚Р»РѕР¶РµРЅРЅС‹Р№ "РЅР° РїРѕР»РєСѓ" Р°Р»СЊР±РѕРј Рё РёР·РґР°Р» СЌС‚РѕС‚ РґРёСЃРє РЅР° СЂРѕРґРёРЅРµ, РІ Р”Р°РЅРёРё, РїРѕРґ РїСЃРµРІРґРѕРЅРёРјРѕРј "Tomas Tomaz". Р�Р·Р±Р°Р»РѕРІР°РЅРЅР°СЏ Р•РІСЂРѕРїР° РїРѕ-РїСЂРµР¶РЅРµРјСѓ РЅРµ РѕР±СЂР°С‰Р°Р»Р° РІРЅРёРјР°РЅРёСЏ РЅР° "РґР°С‚СЃРєРѕРіРѕ РїСЂРёРЅС†Р°", Р·Р°С‚Рѕ РЅРѕРІР°СЏ РїРµСЃРЅСЏ, РЅР°РїРёСЃР°РЅРЅР°СЏ РІ РѕС‚С‡Р°СЏРЅРЅРѕР№ СЃРёС‚СѓР°С†РёРё, РІ РѕРґРЅРѕС‡Р°СЃСЊРµ РїРѕРєРѕСЂРёР»Р° СЃС‚СЂР°РЅСѓ СЃРѕ Р·РЅР°С‡РёС‚РµР»СЊРЅРѕ Р±РѕР»СЊС€РµР№ С‚РµСЂСЂРёС‚РѕСЂРёРµР№ - Р РѕСЃСЃРёСЋ! Р•С‰Рµ РїСЂРµРґС‹РґСѓС‰Р°СЏ СЂР°Р±РѕС‚Р° N'Evergreen - РїРµСЃРЅСЏ "Every Time (I See You Smile)" - РїРѕР»СѓС‡РёР»Р° РёР·РІРµСЃС‚РЅРѕСЃС‚СЊ РІ СЂРѕСЃСЃРёР№СЃРєРѕРј С‚РµР»Рµ-СЂР°РґРёРѕ-СЌС„РёСЂРµ. Рђ С‚СЂРµРє "Since You've Been Gone", РµРґРІР° РїРѕРїР°РІ РЅР° СЂР°РґРёРѕ, РІР·Р»РµС‚РµР» РЅР° СЃР°РјС‹Рµ РІРµСЂС…СѓС€РєРё С‡Р°СЂС‚РѕРІ. Рљ СЃРѕР·РґР°РЅРёСЋ Р°Р»СЊР±РѕРјР°, РЅР°РґРѕ СЃРєР°Р·Р°С‚СЊ, N'Evergreen РїРѕРґРѕС€РµР» СЃРµСЂСЊРµР·РЅРµР№С€РёРј РѕР±СЂР°Р·РѕРј. Р’РѕРєР°Р» Р±С‹Р» Р·Р°РїРёСЃР°РЅ РІ Р›РѕСЃ-РђРЅРґР¶РµР»РµСЃРµ, РєР»Р°РІРёС€РЅС‹Рµ РїР°СЂС‚РёРё РёСЃРїРѕР»РЅРµРЅС‹ РЅР° Р»РµРіРµРЅРґР°СЂРЅРѕРј РїРёР°РЅРёРЅРѕ РіСЂСѓРїРїС‹ ABBA, РєРѕС‚РѕСЂРѕРµ СЃС‚РѕРёС‚ РІ СЃС‚СѓРґРёРё Polar РІ РЎС‚РѕРєРіРѕР»СЊРјРµ, Р° РІ РѕРґРЅРѕР№ РёР· РїРµСЃРµРЅ РјРѕР¶РЅРѕ СѓСЃР»С‹С€Р°С‚СЊ С†РµР»С‹Р№ СЃРёРјС„РѕРЅРёС‡РµСЃРєРёР№ РѕСЂРєРµСЃС‚СЂ, РІС‹РїРёСЃР°РЅРЅС‹Р№ РїРѕ С‚Р°РєРѕРјСѓ СЃР»СѓС‡Р°СЋ РёР· Р‘СѓРґР°РїРµС€С‚Р°. "РЇ СЃРЅР°С‡Р°Р»Р° РЅРµ РїРѕРІРµСЂРёР», РЅРѕ РїРѕС‚РѕРј РјС‹ СЃС‚Р°Р»Рё РїРѕР»СѓС‡Р°С‚СЊ СЌР»РµРєС‚СЂРѕРЅРЅС‹Рµ РїРёСЃСЊРјР°, РїСЂРёРіР»Р°С€РµРЅРёСЏ РїСЂРёРµС…Р°С‚СЊ РІ Р РѕСЃСЃРёСЋ, СЃС‹РіСЂР°С‚СЊ Р·РґРµСЃСЊ. РўР°Рє СЏ РѕРєР°Р·Р°Р»СЃСЏ С‚СѓС‚... Р”Рѕ СЃРёС… РїРѕСЂ СЏ РЅРѕС‡СЊСЋ РїСЂРѕСЃС‹РїР°СЋСЃСЊ Рё РїС‹С‚Р°СЋСЃСЊ СЃРµР±СЏ СѓС‰РёРїРЅСѓС‚СЊ, С‡С‚РѕР±С‹ РїРѕРЅСЏС‚СЊ, С‡С‚Рѕ СЌС‚Рѕ РЅРµ СЃРѕРЅ. РҐРѕС‚СЏ, РјРѕР¶РµС‚ Р±С‹С‚СЊ, СЏ РґРµР№СЃС‚РІРёС‚РµР»СЊРЅРѕ РґРѕ СЃРёС… РїРѕСЂ СЃРїР»СЋ", - СѓР»С‹Р±Р°РµС‚СЃСЏ РўРѕРјР°СЃ. РџСЂРѕР¶РёРІР°СЋС‰РёР№ СЃ 2003 РіРѕРґР° РІ Р РѕСЃСЃРёРё Р»РёРґРµСЂ N'Evergreen РЅР°С€РµР» С‚Р°Рј РЅРµ С‚РѕР»СЊРєРѕ РїСЂРёР·РЅР°РЅРёРµ. Р’ С‚РµС‡РµРЅРёРё С‚СЂРµС… Р»РµС‚ РѕРЅ Р±С‹Р» РјСѓР¶РµРј СЌРєСЃ-СЃРѕР»РёСЃС‚РєРё Рђ-РЎС‚СѓРґРёРѕ РџРѕР»РёРЅС‹ Р“СЂРёС„С„РёСЃ (С‚Р°РєР¶Рµ СѓС‡Р°СЃС‚РЅРёС†С‹ СЌС‚РѕРіРѕ РѕС‚Р±РѕСЂР°). "РЇ РѕС‡РµРЅСЊ Р»СЋР±Р»СЋ Р РѕСЃСЃРёСЋ. РќРµСЃРјРѕС‚СЂСЏ РЅР° С‚Рѕ, С‡С‚Рѕ СЏ РёР· Р”Р°РЅРёРё, РјРѕР№ РґРѕРј Р·РґРµСЃСЊ", РіРѕРІРѕСЂРёС‚ Р°СЂС‚РёСЃС‚. РўРѕРјР°СЃ РїРѕРґС‚РІРµСЂРґРёР» СѓСЃРїРµС… РґРµР±СЋС‚РЅРѕРіРѕ Р°Р»СЊР±РѕРјР° С…РёС‚Р°РјРё вЂњJust another love songвЂќ Рё вЂњShe believes in goldвЂќ, СЃРµР№С‡Р°СЃ РѕРЅ РІ РїРѕСЃС‚РѕСЏРЅРЅС‹С… С‚СѓСЂ РїРѕРµР·РґРєР°С… РїРѕ РІСЃРµРјСѓ РјРёСЂСѓ. Р’ РїСЂРѕС€Р»РѕРј РіРѕРґСѓ РµРіРѕ РїРµСЃРЅСЏ "How Can I Make You Love Me" РїРѕРїР°Р»Р° РІ СЂРѕС‚Р°С†РёСЋ РґР°С‚СЃРєРѕРіРѕ СЂР°РґРёРѕ P4 Рё РІ С‚РѕРј Р¶Рµ РіРѕРґСѓ РѕРЅ РїСЂРёРЅСЏР» СѓС‡Р°СЃС‚РёРµ РІ СЂРѕСЃСЃРёР№СЃРєРѕРј РЅР°С†РёРѕРЅР°Р»СЊРЅРѕРј РѕС‚Р±РѕСЂРµ РЅР° Р•РІСЂРѕРІРёРґРµРЅРёРµ СЃ РїРµСЃРЅРµР№ "One More Try". РљСЂРёСЃС‚РёРЅР° РЁР°РЅРё СЂРѕРґРёР»Р°СЃСЊ Рё РІС‹СЂРѕСЃР»Р° РІ РћРґРµРЅСЃРµ (РµРµ РјР°С‚СЊ РґР°С‚С‡Р°РЅРєР°, Р° РѕС‚РµС† - С‚Р°РµС†), РЅРѕ СЃРµР№С‡Р°СЃ Р¶РёРІРµС‚ РІ Р¤СЂРµРґРµСЂРёРєСЃР±РµСЂРіРµ, РіРґРµ Сѓ РЅРµРµ СЃРѕР±СЃС‚РІРµРЅРЅР°СЏ РјСѓР·С‹РєР°Р»СЊРЅР°СЏ СЃС‚СѓРґРёСЏ. РћРЅР° РЅР°С‡Р°Р»Р° РїРµС‚СЊ РїСЂР°РєС‚РёС‡РµСЃРєРё РѕРґРЅРѕРІСЂРµРјРµРЅРЅРѕ СЃ С‚РµРј, РєР°Рє РЅР°С‡Р°Р»Р° РіРѕРІРѕСЂРёС‚СЊ. Р’ РІРѕР·СЂР°СЃС‚Рµ 17 Р»РµС‚ РѕРЅР° СѓР¶Рµ РїРѕР±РµРґРёР»Р° РЅР° СЂСЏРґРµ РїРµСЃРµРЅРЅС‹С… РєРѕРЅРєСѓСЂСЃРѕРІ Рё РЅР° РєРѕРЅРєСѓСЂСЃРµ Р°РІС‚РѕСЂРѕРІ РїРµСЃРµРЅ. Р’РґРѕС…РЅРѕРІР»РµРЅРЅР°СЏ СЃРІРѕРёРј РїСЂРѕРёСЃС…РѕР¶РґРµРЅРёРµРј Рё РґРІРёР¶РёРјР°СЏ Р¶РµР»Р°РЅРёРµРј РїРѕСЃРјРѕС‚СЂРµС‚СЊ РЅР° РјРёСЂ, РѕРЅР° РїСЂРѕРІРµР»Р° РЅРµСЃРєРѕР»СЊРєРѕ Р»РµС‚ РїСЂРѕР¶РёРІР°СЏ РІ СЂР°Р·Р»РёС‡РЅС‹С… С‡Р°СЃС‚СЏС… Р•РІСЂРѕРїС‹ Рё РђР·РёРё. Р’ 2003 РіРѕРґСѓ РІРјРµСЃС‚Рµ СЃ Р™РѕС…Р°РЅРЅ РџРµР№СЃРЅРµСЂ РїРѕР±РµРґРёР»Р° РЅР° РєРѕРЅРєСѓСЂСЃРµ СЃР°СѓРЅРґС‚СЂРµРєРѕРІ РґР»СЏ С„РёР»СЊРјР° "Anja after Victor" СЃ РєРѕРјРїРѕР·РёС†РёРµР№ "Gone Away". Р’ СЌС‚РѕРј Р¶Рµ РіРѕРґСѓ РѕРЅР° Р·Р°РїРёСЃР°Р»Р° Р·Р°РіР»Р°РІРЅСѓСЋ РїРµСЃРЅСЋ РґР»СЏ С„РёР»СЊРјР° "Askepop". Р’ 2004 РіРѕРґСѓ РљСЂРёСЃС‚РёРЅР° РїРµР»Р° РІ СЃРѕСЃС‚Р°РІРµ "Nubian Fraulein" РІ СЂР°Р·РІР»РµРєР°С‚РµР»СЊРЅРѕР№ РїСЂРѕРіСЂР°РјРјРµ DR1 "Finally Friday". РўРѕР№ Р¶Рµ РІРµСЃРЅРѕР№ РіСЂСѓРїРїР° РІС‹РїСѓСЃС‚РёР»Р° СЃРІРѕР№ Р°Р»СЊР±РѕРј РЅР° СЃС‚СѓРґРёРё BMG. Р’Рѕ РІСЂРµРјСЏ Р·Р°РїРёСЃРё РїСЂРѕРіСЂР°РјРјС‹ РѕРЅР° РІСЃС‚СЂРµС‚РёР»Р°СЃСЊ СЃ Kid Creole, РєРѕС‚РѕСЂС‹Р№ Р±С‹Р» РіРѕСЃС‚РµРј С€РѕСѓ. РћРЅ СЃРІСЏР·Р°Р»СЃСЏ СЃ РЅРµР№ РїРѕР·РґРЅРµРµ, РІРѕ РІСЂРµРјСЏ РїРѕРґРіРѕС‚РѕРІРєРё Рє РїРѕСЃС‚Р°РЅРѕРІРµРµ РјСЋР·РёРєР»Р° "Marvin Gaye", Рё РѕРЅР° РїРѕР»СѓС‡РёР»Р° Р·Р°РіР»Р°РІРЅСѓСЋ СЂРѕР»СЊ Р”Р¶РµСЃСЃРёРєРё. РџРѕРјРёРјРѕ РЅРµРµ РІ РјСЋР·РёРєР»Рµ РІС‹СЃС‚СѓРїРёР»Рё СЃР°Рј Kid Creole, Kele Le Roc (Basement Jaxx) Рё РњР°СЂРє Р­РЅС‚РѕРЅРё. РњСЋР·РёРєР» СЃС‚Р°Р» РѕРіСЂРѕРјРЅС‹Рј СѓСЃРїРµС…РѕРј, Рё СЃРµР№С‡Р°СЃ РљСЂРёСЃС‚РёРЅР° СЏРІР»СЏРµС‚СЃСЏ СЃРѕР»РёСЃС‚РєРѕР№ РіСЂСѓРїРїС‹ "Kid Creole and the Coconuts", СЃ РєРѕС‚РѕСЂРѕР№ РѕРЅР° РІС‹СЃС‚СѓРїР°РµС‚ РїРѕ РІСЃРµРјСѓ РјРёСЂСѓ. РќРµРґР°РІРЅРѕ РљСЂРёСЃС‚РёРЅР° СЃРЅСЏР»Р°СЃСЊ РІ РїРѕРїСѓР»СЏСЂРЅРѕРј С‚РµР»РµСЃРµСЂРёР°Р»Рµ "РљР»РѕСѓРЅ". РћРЅР° С‚РѕР»СЊРєРѕ С‡С‚Рѕ РІС‹РїСѓСЃС‚РёР»Р° СЃРёРЅРіР» "Breathing" СЃРѕ СЃРІРѕРµРіРѕ РґРµР±СЋС‚РЅРѕРіРѕ Р°Р»СЊР±РѕРјР°, РєРѕС‚РѕСЂС‹Р№ Р·Р°РїР»Р°РЅРёСЂРѕРІР°РЅ Рє РїРѕСЏРІР»РµРЅРёСЋ Р»РµС‚РѕРј 2010 РіРѕРґР°. "РњРµРЅСЏ СЃРїСЂРѕСЃРёР»Рё, РЅРµ С…РѕС‡Сѓ Р»Рё СЏ СЃРїРµС‚СЊ РЅР° РґР°С‚СЃРєРѕРј РѕС‚Р±РѕСЂРµ РїРµСЃРЅСЋ, РЅР°РїРёСЃР°РЅРЅСѓСЋ РєР°РєРёРјРё-С‚Рѕ С€РІРµРґР°РјРё, Рё, РєРѕРіРґР° СЏ СѓСЃР»С‹С€Р°Р» РїРµСЂРІС‹Р№ РїСЂРёРїРµРІ РґРµРјРѕ, СЏ РЅРµРјРµРґР»РµРЅРЅРѕ РїРѕРЅСЏР», С‡С‚Рѕ РѕРЅР° РѕС‡РµРЅСЊ РїРѕРґС…РѕРґРёС‚ РґР»СЏ РјРµРЅСЏ, Рё СЌС‚Р° РїРµСЃРЅСЏ СЃРїРѕСЃРѕР±РЅР° Р·Р°РЅСЏС‚СЊ РІС‹СЃС€РёРµ РјРµСЃС‚Р° РЅРµ С‚РѕР»СЊРєРѕ РЅР° РјРµСЃС‚РЅРѕРј СѓСЂРѕРІРЅРµ, РЅРѕ Рё РІ РћСЃР»Рѕ. РџРѕСЌС‚РѕРјСѓ СЏ СЃ СѓРґРѕРІРѕР»СЊСЃС‚РІРёРµРј СЃРѕРіР»Р°СЃРёР»СЃСЏ. РџРѕСЃРєРѕР»СЊРєСѓ РїРµСЃРЅСЏ РїСЂРµРґРїРѕР»Р°РіР°Р»Р°СЃСЊ РґСѓСЌС‚РЅРѕР№, РјС‹ РЅР°С‡Р°Р»Рё РїРѕРёСЃРє РІРѕРєР°Р»РёСЃС‚РєРё РґР»СЏ РЅРµРµ. РњС‹ РїСЂРѕСЃР»СѓС€Р°Р»Рё Р±РѕР»РµРµ 50 РєР°РЅРґРёРґР°С‚РѕРє Рё РѕСЃС‚Р°РЅРѕРІРёР»Рё СЃРІРѕР№ РІС‹Р±РѕСЂ РЅР° РљСЂРёСЃС‚РёРЅРµ. РќР°С€Р° РїРµСЃРЅСЏ РЅР°РїРёСЃР°РЅР° РІ СЃС‚РёР»Рµ РїРѕРї-СЂРѕРє, СЌС‚Рѕ Р±С‹СЃС‚СЂРѕС‚РµРјРїРѕРІР°СЏ Р±Р°Р»Р»Р°РґР°, РєРѕС‚РѕСЂР°СЏ РЅР°РїРѕРјРёРЅР°РµС‚ РїРµСЃРЅРё The Police, РўРёРЅС‹ РўРµСЂРЅРµСЂ Рё РђР‘Р‘Р«, РїРѕСЃРєРѕР»СЊРєСѓ РѕРЅР° Р±С‹Р»Р° РЅР°РїРёСЃР°РЅР° С‚СЂРµРјСЏ С€РІРµРґСЃРєРёРјРё С…РёС‚РјРµР№РєРµСЂР°РјРё. РЈ РЅР°СЃ Р»СѓС‡С€Р°СЏ РїРµСЃРЅСЏ, С‡С‚Рѕ СЏ СЃР»С‹С€Р°Р» РІ РєРѕРЅС‚РµРєСЃС‚Рµ Р•РІСЂРѕРІРёРґРµРЅРёСЏ Р·Р° РјРЅРѕРіРёРµ РіРѕРґС‹, РґР°Р¶Рµ РµСЃР»Рё РІРµСЃС‚Рё СЂРµС‡СЊ Рѕ РјРµР¶РґСѓРЅР°СЂРѕРґРЅС‹С… С„РёРЅР°Р»Р°С…. РЇ РЅР°РґРµСЋСЃСЊ, С‡С‚Рѕ РјРѕСЏ РїРѕРїСѓР»СЏСЂРЅРѕСЃС‚СЊ РІ Р’РѕСЃС‚РѕС‡РЅРѕР№ Р•РІСЂРѕРїРµ, Р РѕСЃСЃРёРё, РЈРєСЂР°РёРЅРµ, Р“СЂСѓР·РёРё, Р‘РµР»Р°СЂСѓСЃРё Рё РґСЂСѓРіРёС… СЃС‚СЂР°РЅР°С… РїРѕРјРѕР¶РµС‚ РЅР°Рј РїРѕР»СѓС‡РёС‚СЊ РіРѕР»РѕСЃР° РѕС‚ РЅРёС…". РљРѕРјРїРѕР·РёС‚РѕСЂ РўРѕРјР°СЃ Р“СѓСЃС‚Р°С„СЃСЃРѕРЅ (Р“-СЃРѕРЅ) СЂР°РЅСЊС€Рµ Р±С‹Р» РіРёС‚Р°СЂРёСЃС‚РѕРј РІ С…Р°СЂРґ-СЂРѕРє РіСЂСѓРїРїРµ Рё РїРѕСЃР»РµРґРЅРёРµ 12 Р»РµС‚ Р·Р°РЅРёРјР°РµС‚СЃСЏ РЅР°РїРёСЃР°РЅРёРµРј РїРµСЃРµРЅ. РћРЅ СѓР¶Рµ СЏРІР»СЏРµС‚СЃСЏ Р°РІС‚РѕСЂРѕРј РїСЂРёРјРµСЂРЅРѕ 40 РїРµСЃРµРЅ, РїСЂРёРЅРёРјР°РІС€РёС… СѓС‡Р°СЃС‚РёРµ РІ РЅР°С†РёРѕРЅР°Р»СЊРЅС‹С… РѕС‚Р±РѕСЂР°С… РЅР° Р•РІСЂРѕРІРёРґРµРЅРёРµ. Р•РіРѕ РїРµСЃРЅРё РІС‹СЃС‚СѓРїР°Р»Рё Рё РЅР° СЃР°РјРѕРј РєРѕРЅРєСѓСЂСЃРµ РѕС‚ РЁРІРµС†РёРё, РќРѕСЂРІРµРіРёРё Рё Р�СЃРїР°РЅРёРё, С‚Р°РєРёРј РѕР±СЂР°Р·РѕРј Р”Р°РЅРёСЏ СЃС‚Р°РЅРѕРІРёС‚СЃСЏ РµРіРѕ С‡РµС‚РІРµСЂС‚РѕР№ СЃС‚СЂР°РЅРѕР№. РџСЂРѕСЃР»СѓС€Р°С‚СЊ "In Moment Like This" РјРѕР¶РЅРѕ Р·РґРµСЃСЊ, Р° РїРѕСЃРјРѕС‚СЂРµС‚СЊ РїРѕР»РЅРѕСЃС‚СЊСЋ С„РёРЅР°Р» РЅР°С†РёРѕРЅР°Р»СЊРЅРѕРіРѕ РѕС‚Р±РѕСЂР° - Р·РґРµСЃСЊ. Р’С‹СЃС‚СѓРїР»РµРЅРёРµ СЃ РЅР°С†РёРѕРЅР°Р»СЊРЅРѕРіРѕ РѕС‚Р±РѕСЂР° РјРѕР¶РЅРѕ СѓРІРёРґРµС‚СЊ Р·РґРµСЃСЊ, СЂРµРїСЂРёР·Сѓ Р·РґРµСЃСЊ, РІС‹СЃС‚СѓРїР»РµРЅРёРµ РЅР° С‚РµР»РµРєР°РЅР°Р»Рµ TV2 Р·РґРµСЃСЊ. - Hello, Tomas and Christina, and first of all our congratulations for being selected Danish representatives at Eurovision 2010! How do you feel now, being Eurovision participants? - We are very happy to be in the Eurovision with such a good song. We will do our very best to represent Denmark in the best possible way in Oslo. - How can you describe your contest entry "In A Moment Like This" in one phrase? - Our song is a very strong song that has a touch of ABBA to it. - Tomas, how the idea to apply to the national preselection came to you? - How you have managed to discover Christina? Did she fit in the song easily? - We had many girls for audition before choosing Christina Chanee. The song is very demanding for the female singer. Very low in verses and very high in chorus. But Christina sings like an angel! - ItвЂ™s 4th Eurovision country for your namesake, composer Thomas G:son, has he already gave you any advices on preparation for the contest? - Yes I watch it if I am not working. I always did. The Olsen Brothers 10 years ago was great. - Tomas, you have already taken part in Russian preselection last year, what are your memories connected with this experience? - It was amazing. I had a good song and I've had such great response from people on it. - With TomasвЂ™ popularity, are you counting for a votes from Eastern Europe and Russian speaking countries? - Well we are not counting on these votes, but we hope to get them. However Dima Bilan will be representing Russia and he is also very popular in these countries. But we think our song is strong enough to go all the way вЂ“ with or without the Russian votes. - Yes we are making remixes. - Will you have a promotional tour in Europe later? Do you think in general that pre-contest promotion is important for the contest success? - The most important thing is the evening itself. The pre contest promo has very small effect on the results, history has taught us. - Do you already have some plans for the music video for the song? - The video will be shot partly in Moscow and Copenhagen. The song is about two people who are separated вЂ“ like us. 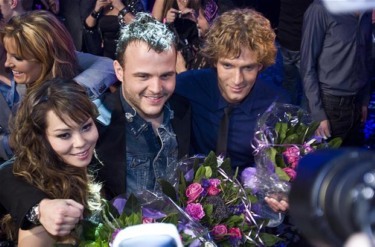 - Will the stage presentation of the entry and your image at Eurovision be similar to the one weвЂ™ve seen at Danish MGP? Or do you plan something new for the international audience? - It will be similar but not exactly the same. But still romantic and natural, supporting the song. - Will you be joined on stage by any backing singers/dancers? - It is all connected. For Lordi I think the show was more important than the song. - I think of it as a song contest. But of course we have often seen neighbour countries voting for each other. - Re-introduction of juries in Eurovision, including at the semifinal stage is it a welcomed change or you prefer to rely on the televotersвЂ™ verdict? - I don't know much about the rules. I am just a singer. - I will hear the songs in Oslo - we will be there for two weeks before the show. - The biggest hit I've had is still "Since You've Been Gone" but I hope that "In a Moment Like This" will be even bigger. - Christina, what is your role in legendary "Kid Creole & The Coconuts"? Is the band still active? - I do backing vocals in the band and IвЂ™m featured singer and do one or two songs solo on every concert. The band is still very active because of itвЂ™s fantastic live show. - Have any of you taken part in other music competitions? Do you like competing in general? Christina: IвЂ™ve participated in some song writer and singing competitions when I was a teenager вЂ“ won a lot of them too. For the past years, however, I havenвЂ™t. I think with X-factor and all the talent shows music has become too much of a competition. Musicians and singers have forgotten to see each other as colleagues instead of competitors. Tomas: I like Michael Jackson, Stevie Wonder, Metallica, Alla Pugachova, Kristina Orbakaite, Basement Jaxx, The Police, Abba, Timbaland, John Legend and many other artists. Christina: I like MJ and Stevie Wonder too. I also listen a lot to John Mayor, Whitney Houston, Robbie Williams, Alanis Morisette and K.D. Lang. - WeвЂ™ve heard youвЂ™re working on the joint album, can you tell us more information about this? - We are working on an album due to release in May 2010. There will be good strong and happy pop music on it. - And our usual question, will be easy for Tomas, - can you name us any singers you like that are coming from ex-USSR, Russia, Ukraine? - We hope you will like our song. Yu can already see and hear it now on youtube. - Thank you for the interview, good luck with your preparations and see you in Oslo! - РџСЂРёРІРµС‚, РўРѕРјР°СЃ Рё РљСЂРёСЃС‚РёРЅР°, Рё РїСЂРµР¶РґРµ РІСЃРµРіРѕ РЅР°С€Рё РїРѕР·РґСЂР°РІР»РµРЅРёСЏ СЃ С‚РµРј, С‡С‚Рѕ РІС‹ Р±С‹Р»Рё РІС‹Р±СЂР°РЅС‹ РїСЂРµРґСЃС‚Р°РІРёС‚РµР»СЏРјРё Р”Р°РЅРёРё РЅР° Р•РІСЂРѕРІРёРґРµРЅРёРё 2010! Р§С‚Рѕ РІС‹ С‡СѓРІСЃС‚РІСѓРµС‚Рµ СЃРµР№С‡Р°СЃ, СЃС‚Р°РІ РєРѕРЅРєСѓСЂСЃР°РЅС‚Р°РјРё Р•РІСЂРѕРІРёРґРµРЅРёСЏ? - РњС‹ РѕС‡РµРЅСЊ СЂР°РґС‹ РїРѕРїР°СЃС‚СЊ РЅР° Р•РІСЂРѕРІРёРґРµРЅРёРµ СЃ С‚Р°РєРѕР№ С…РѕСЂРѕС€РµР№ РїРµСЃРЅРµР№. РњС‹ СЃРґРµР»Р°РµРј РІСЃРµ РІРѕР·РјРѕР¶РЅРѕРµ, С‡С‚РѕР±С‹ РїСЂРµРґСЃС‚Р°РІРёС‚СЊ Р”Р°РЅРёСЋ РІ РћСЃР»Рѕ РєР°Рє РјРѕР¶РЅРѕ Р»СѓС‡С€Рµ. - РљР°Рє Р±С‹ РІС‹ РјРѕРіР»Рё РѕРїРёСЃР°С‚СЊ СЃРІРѕСЋ РєРѕРЅРєСѓСЂСЃРЅСѓСЋ РїРµСЃРЅСЋ "In A Moment Like This" РІ РѕРґРЅРѕР№ С„СЂР°Р·Рµ? - РќР°С€Р° РїРµСЃРЅСЏ - СЃРёР»СЊРЅР°СЏ РєРѕРјРїРѕР·РёС†РёСЏ, РІ РєРѕС‚РѕСЂРѕР№ РµСЃС‚СЊ РѕРїСЂРµРґРµР»РµРЅРЅРѕРµ РІР»РёСЏРЅРёРµ РђР‘Р‘Р«. - РўРѕРјР°СЃ, РєР°Рє Рє РІР°Рј РїСЂРёС€Р»Р° РёРґРµСЏ РїСЂРёРЅСЏС‚СЊ СѓС‡Р°СЃС‚РёРµ РІ РЅР°С†РёРѕРЅР°Р»СЊРЅРѕРј РѕС‚Р±РѕСЂРµ? - РњРЅРµ РїСЂРµРґР»РѕР¶РёР»Рё РїСЂРёРЅСЏС‚СЊ СѓС‡Р°СЃС‚РёРµ, Рё РїРѕСЃР»Рµ С‚РѕРіРѕ, РєР°Рє СЏ РїРѕСЃР»СѓС€Р°Р» РїРµСЃРЅСЋ, СЏ СЃ СЂР°РґРѕСЃС‚СЊСЋ СЃРєР°Р·Р°Р» Р”Рђ. - РљР°Рє РІР°Рј СѓРґР°Р»РѕСЃСЊ РЅР°Р№С‚Рё РљСЂРёСЃС‚РёРЅСѓ? Р›РµРіРєРѕ Р»Рё РѕРЅР° "РІРїРёСЃР°Р»Р°СЃСЊ РІ РїРµСЃРЅСЋ"? - РњС‹ РїСЂРѕСЃР»СѓС€Р°Р»Рё РјРЅРѕРіРѕ РґРµРІСѓС€РµРє РґРѕ С‚РѕРіРѕ, РєР°Рє РѕСЃС‚Р°РЅРѕРІРёР»РёСЃСЊ РЅР° РєР°РЅРґРёРґР°С‚СѓСЂРµ РљСЂРёСЃС‚РёРЅС‹ РЁР°РЅРё. РџРµСЃРЅСЏ РѕС‡РµРЅСЊ СЃР»РѕР¶РЅР°СЏ РґР»СЏ Р¶РµРЅСЃРєРѕРіРѕ РІРѕРєР°Р»Р°. РћС‡РµРЅСЊ РЅРёР·РєРёР№ РІРѕРєР°Р» РІ РєСѓРїР»РµС‚Р°С… Рё РІС‹СЃРѕРєРёР№ РІ РїСЂРёРїРµРІР°С…. РќРѕ РљСЂРёСЃС‚РёРЅР° РїРѕРµС‚ РєР°Рє Р°РЅРіРµР»! - Р­С‚Рѕ СѓР¶Рµ 4СЏ СЃС‚СЂР°РЅР° РЅР° Р•РІСЂРѕРІРёРґРµРЅРёРё РґР»СЏ РІР°С€РµРіРѕ С‚РµР·РєРё, РєРѕРјРїРѕР·РёС‚РѕСЂР° РўРѕРјР°СЃР° Р“:СЃРѕРЅР°, РґР°Р» Р»Рё РѕРЅ СѓР¶Рµ РІР°Рј РєР°РєРёРµ-С‚Рѕ СЃРѕРІРµС‚С‹ РІ РїРѕРґРіРѕС‚РѕРІРєРµ Рє РєРѕРЅРєСѓСЂСЃСѓ? - Р”Р°, РўРѕРјР°СЃ РїРѕСЃРѕРІРµС‚РѕРІР°Р» РјРЅРµ РѕРґРµС‚СЊ РґСЂСѓРіСѓСЋ РјР°Р№РєСѓ, РІРјРµСЃС‚Рѕ С‚РѕР№, С‡С‚Рѕ СЏ РїРµСЂРІРѕРЅР°С‡Р°Р»СЊРЅРѕ С…РѕС‚РµР» :) РќР°РІРµСЂРЅРѕРµ, СЌС‚Рѕ СЃСЂР°Р±РѕС‚Р°Р»Рѕ. - Р’С‹ РѕР±С‹С‡РЅРѕ СЃР»РµРґРёС‚Рµ Р·Р° СЃР°РјРёРј Р•РІСЂРѕРІРёРґРµРЅРёРµРј? РљР°РєРёРµ-С‚Рѕ РІРѕСЃРїРѕРјРёРЅР°РЅРёСЏ, СЃРІСЏР·Р°РЅРЅС‹Рµ СЃ РЅРёРј? - Р”Р°, СЏ СЃРјРѕС‚СЂСЋ РєРѕРЅРєСѓСЂСЃ, РµСЃР»Рё РЅРµ СЂР°Р±РѕС‚Р°СЋ РІ СЌС‚Рѕ РІСЂРµРјСЏ. Р� РІСЃРµРіРґР° СЃРјРѕС‚СЂРµР» РµРіРѕ. РџРѕР±РµРґР° Р‘СЂР°С‚СЊРµРІ РћР»СЊСЃРµРЅ 10 Р»РµС‚ РЅР°Р·Р°Рґ Р±С‹Р»Р° РІРµР»РёРєРѕР»РµРїРЅРѕР№. - РўРѕРјР°СЃ, РІ РїСЂРѕС€Р»РѕРј РіРѕРґСѓ РІС‹ РїСЂРёРЅРёРјР°Р»Рё СѓС‡Р°СЃС‚РёРµ РІ СЂРѕСЃСЃРёР№СЃРєРѕРј РЅР°С†РёРѕРЅР°Р»СЊРЅРѕРј РѕС‚Р±РѕСЂРµ, РєР°РєРёРµ РІРѕСЃРїРѕРјРёРЅР°РЅРёСЏ Сѓ РІР°СЃ СЃ СЌС‚РёРј СЃРІСЏР·Р°РЅС‹? - Р‘С‹Р»Рѕ РїРѕС‚СЂСЏСЃР°СЋС‰Рµ. РЈ РјРµРЅСЏ Р±С‹Р»Р° С…РѕСЂРѕС€Р°СЏ РїРµСЃРЅСЏ, Рё СЏ РїРѕР»СѓС‡РёР» РѕРіСЂРѕРјРЅРѕРµ РєРѕР»РёС‡РµСЃС‚РІРѕ РїРѕР»РѕР¶РёС‚РµР»СЊРЅС‹С… РѕС‚Р·С‹РІРѕРІ РЅР° РЅРµРµ РѕС‚ СЂР°Р·Р»РёС‡РЅС‹С… Р»СЋРґРµР№. - РљР°РєСѓСЋ С†РµР»СЊ РІС‹ СЃС‚Р°РІРёС‚Рµ РїРµСЂРµРґ СЃРѕР±РѕР№ РЅР° РєРѕРЅРєСѓСЂСЃРµ? - РЈ РЅР°СЃ СЃРёР»СЊРЅР°СЏ РїРµСЃРЅСЏ, РїРѕСЌС‚РѕРјСѓ РјС‹ РЅР°РґРµРµРјСЃСЏ РЅР° РїРѕР±РµРґСѓ. - РЈС‡РёС‚С‹РІР°СЏ РїРѕРїСѓР»СЏСЂРЅРѕСЃС‚СЊ РўРѕРјР°СЃР°, РІС‹ СЂР°СЃСЃС‡РёС‚С‹РІР°РµС‚ РЅР° РіРѕР»РѕСЃР° Р’РѕСЃС‚РѕС‡РЅРѕР№ Р•РІСЂРѕРїС‹ Рё СЂСѓСЃСЃРєРѕРіРѕРІРѕСЂСЏС‰РёС… СЃС‚СЂР°РЅ? - РњС‹ РЅРµ СЂР°СЃСЃС‡РёС‚С‹РІР°РµРј РЅР° СЌС‚Рё РіРѕР»РѕСЃР°, РЅРѕ, РєРѕРЅРµС‡РЅРѕ, РЅР°РґРµРµРјСЃСЏ РїРѕР»СѓС‡РёС‚СЊ РёС…. РћРґРЅР°РєРѕ, Р РѕСЃСЃРёСЋ СЃРЅРѕРІР° РїСЂРµРґСЃС‚Р°РІРёС‚ Р”РёРјР° Р‘РёР»Р°РЅ Рё РѕРЅ С‚РѕР¶Рµ РѕС‡РµРЅСЊ РїРѕРїСѓР»СЏСЂРµРЅ РІРѕ РІСЃРµС… СЌС‚РёС… СЃС‚СЂР°РЅР°С…. РќРѕ СЏ РґСѓРјР°СЋ, С‡С‚Рѕ РЅР°С€Р° РїРµСЃРЅСЏ РЅР°СЃС‚РѕР»СЊРєРѕ С…РѕСЂРѕС€Р°, С‡С‚Рѕ РµР№ РїРѕ СЃРёР»Р°Рј РїСЂРѕР±РёС‚СЊСЃСЏ РґРѕ СЃР°РјРѕРіРѕ РІРµСЂС…Р°, СЃ РёР»Рё Р±РµР· РіРѕР»РѕСЃРѕРІ СЂСѓСЃСЃРєРѕРіРѕРІРѕСЂСЏС‰РёС… Р·СЂРёС‚РµР»РµР№. - Р’С‹ РїР»Р°РЅРёСЂСѓРµС‚Рµ Р·Р°РїРёСЃР°С‚СЊ РєР°РєРёРµ-С‚Рѕ РґСЂСѓРіРёРµ РІРµСЂСЃРёРё РїРµСЃРЅРё, РЅР° РґСЂСѓРіРёС… СЏР·С‹РєР°С…, СЂРµРјРёРєСЃС‹? - Р”Р°, РјС‹ СЂР°Р±РѕС‚Р°РµРј РЅР°Рґ СЂРµРјРёРєСЃР°РјРё. - Р‘СѓРґРµС‚ Р»Рё Сѓ РІР°СЃ РїСЂРѕРјРѕ-С‚СѓСЂ РІ Р•РІСЂРѕРїРµ? Р”СѓРјР°РµС‚Рµ Р»Рё РІС‹, С‡С‚Рѕ РїСЂРµРґРєРѕРЅРєСѓСЂСЃРЅС‹Р№ РїСЂРѕРјРѕСѓС€РµРЅ РёРіСЂР°РµС‚ РІР°Р¶РЅСѓСЋ СЂРѕР»СЊ РІ СѓСЃРїРµС…Рµ РЅР° РєРѕРЅРєСѓСЂСЃРµ? - РЎР°РјС‹Рј РІР°Р¶РЅС‹Рј СЏРІР»СЏРµС‚СЃСЏ СЃР°РјРѕ РІС‹СЃС‚СѓРїР»РµРЅРёРµ РІРѕ РІСЂРµРјСЏ РєРѕРЅС†РµСЂС‚Р°. РџСЂРµРґРєРѕРЅРєСѓСЂСЃРЅРѕРµ РїСЂРѕРјРѕ РґР°РµС‚ РѕС‡РµРЅСЊ РЅРµР·РЅР°С‡РёС‚РµР»СЊРЅС‹Р№ СЌС„С„РµРєС‚ РЅР° СЂРµР·СѓР»СЊС‚Р°С‚С‹, РёСЃС‚РѕСЂРёСЏ РєРѕРЅРєСѓСЂСЃР° РїРѕРґС‚РІРµСЂР¶РґР°РµС‚ СЌС‚Рѕ. - Р•СЃС‚СЊ Р»Рё Сѓ РІР°СЃ СѓР¶Рµ РїР»Р°РЅС‹ РЅР° СЃСЉРµРјРєСѓ РІРёРґРµРѕ РЅР° РїРµСЃРЅСЋ? - Р’РёРґРµРѕ Р±СѓРґРµС‚ СЃРЅСЏС‚Рѕ С‡Р°СЃС‚РёС‡РЅРѕ РІ РњРѕСЃРєРІРµ Рё РљРѕРїРµРЅРіР°РіРµРЅРµ. РћРЅРѕ Р±СѓРґРµС‚ Рѕ РґРІСѓС… Р»СЋРґСЏС…, РєРѕС‚РѕСЂС‹Рµ Р±С‹Р»Рё СЂР°Р·Р»СѓС‡РµРЅС‹ РґСЂСѓРі СЃ РґСЂСѓРіРѕРј - РєР°Рє РјС‹. - Р‘СѓРґРµС‚ Р»Рё СЃС†РµРЅРёС‡РµСЃРєРѕРµ РІС‹СЃС‚СѓРїР»РµРЅРёРµ Рё РІР°С€ РёРјРёРґР¶ РЅР° Р•РІСЂРѕРІРёРґРµРЅРёРё РїРѕС…РѕР¶Рё РЅР° С‚Рѕ, С‡С‚Рѕ РјС‹ РІРёРґРµР»Рё РЅР° Р”Р°С‚СЃРєРѕРј РѕС‚Р±РѕСЂРµ? Р�Р»Рё РІС‹ РїР»Р°РЅРёСЂСѓРµС‚Рµ РІРЅРµСЃС‚Рё РєР°РєРёРµ-С‚Рѕ РёР·РјРµРЅРёСЏ РґР»СЏ РјРµР¶РґСѓРЅР°СЂРѕРґРЅРѕР№ Р°СѓРґРёС‚РѕСЂРёРё? - РћРЅРѕ Р±СѓРґРµС‚ РїРѕС…РѕР¶РёРј, РЅРѕ РЅРµ СЃРѕРІСЃРµРј С‚РѕС‡РЅРѕ С‚Р°РєРёРј Р¶Рµ. РќРѕ, РєРѕРЅРµС‡РЅРѕ Р¶Рµ, СЂРѕРјР°РЅС‚РёС‡РЅС‹Рј Рё РµСЃС‚РµСЃС‚РІРµРЅРЅС‹Рј, РїРѕРґРґРµСЂР¶РёРІР°СЋС‰РёРј РїРµСЃРЅСЋ. - РџСЂРёСЃРѕРµРґРёРЅСЏС‚СЃСЏ Р»Рё Рє РІР°Рј РЅР° СЃС†РµРЅРµ Р±СЌРє-РІРѕРєР°Р»РёСЃС‚С‹ РёР»Рё С‚Р°РЅС†РѕСЂС‹? - РљР°Рє РІС‹ РґСѓРјР°РµС‚Рµ, С‡С‚Рѕ РЅР°РёР±РѕР»РµРµ РІР°Р¶РЅРѕ РґР»СЏ СѓСЃРїРµС…Р° РЅР° Р•РІСЂРѕРІРёРґРµРЅРёРё: РїРµСЃРЅСЏ, РёСЃРїРѕР»РЅРёС‚РµР»СЊ РёР»Рё С€РѕСѓ? - Р’СЃРµ РІР·Р°РёРјРѕСЃРІСЏР·Р°РЅРѕ. Р’ СЃР»СѓС‡Р°Рµ СЃ Р›РѕСЂРґРё, СЏ РґСѓРјР°СЋ, С‡С‚Рѕ РєРѕРЅРµС‡РЅРѕ Р¶Рµ, С€РѕСѓ СЃС‹РіСЂР°Р»Рѕ Р±РѕР»СЊС€СѓСЋ СЂРѕР»СЊ, С‡РµРј СЃР°РјР° РїРµСЃРЅСЏ. - Р�РЅРѕРіРґР° Рѕ Р•РІСЂРѕРІРёРґРµРЅРёРё РіРѕРІРѕСЂСЏС‚ РєР°Рє Рѕ РїРѕР»РёС‚РёС‡РµСЃРєРѕРј РєРѕРЅРєСѓСЂСЃРµ. Р’С‹ РїРѕРґРґРµСЂР¶РёРІР°РµС‚Рµ СЌС‚Рѕ РјРЅРµРЅРёРµ? - РЇ РґСѓРјР°СЋ Рѕ РЅРµРј РєР°Рє Рѕ РїРµСЃРµРЅРЅРѕРј РєРѕРЅРєСѓСЂСЃРµ. РќРѕ, РґРµР№СЃС‚РІРёС‚РµР»СЊРЅРѕ, РјС‹ С‡Р°СЃС‚Рѕ РІРёРґРёРј РІ РЅРµРј РєР°Рє СЃРѕСЃРµРґРЅРёРµ СЃС‚СЂР°РЅС‹ РіРѕР»РѕСЃСѓСЋС‚ РґСЂСѓРі Р·Р° РґСЂСѓРіР°. - Р’РѕР·РІСЂР°С‰РµРЅРёРµ Р¶СЋСЂРё РЅР° Р•РІСЂРѕРІРёРґРµРЅРёРµ, РІРєР»СЋС‡Р°СЏ Рё СЃС‚Р°РґРёСЋ РїРѕР»СѓС„РёРЅР°Р»РѕРІ, СЌС‚Рѕ РїРѕР»РѕР¶РёС‚РµР»СЊРЅРѕРµ РёР·РјРµРЅРµРЅРёРµ РёР»Рё РІС‹ РїСЂРµРґРїРѕС‡РёС‚Р°РµС‚Рµ РїРѕР»Р°РіР°С‚СЊСЃСЏ РЅР° РІРµСЂРґРёРєС‚ С‚РµР»РµР·СЂРёС‚РµР»РµР№? - РЇ РЅРµ СЃР»РёС€РєРѕРј С…РѕСЂРѕС€Рѕ СЂР°Р·Р±РёСЂР°СЋСЃСЊ РІ РїСЂР°РІРёР»Р°С…, СЏ РїСЂРѕСЃС‚Рѕ РїРѕСЋ. - Р’С‹ СЃР»РµРґРёС‚Рµ Р·Р° РёРЅС„РѕСЂРјР°С†РёРµР№ РѕР± РѕС‚Р±РѕСЂР°С… РІ РґСЂСѓРіРёС… СЃС‚СЂР°РЅР°С…? Р’С‹ РїР»Р°РЅРёСЂСѓРµС‚Рµ Р·Р°СЂР°РЅРµРµ РїСЂРѕСЃР»СѓС€Р°С‚СЊ РІСЃРµ РєРѕРЅРєСѓСЂСЃРЅС‹Рµ РїРµСЃРЅРё? - РЇ СѓСЃР»С‹С€Сѓ РёС… РІ РћСЃР»Рѕ - РІРµРґСЊ РЅР°Рј РїСЂРµРґСЃС‚РѕРёС‚ РїСЂРѕРІРµСЃС‚Рё С‚Р°Рј РґРІРµ РЅРµРґРµР»Рё РїРµСЂРµРґ СЃР°РјРёРј С€РѕСѓ. - Р”Р°РІР°Р№С‚Рµ РІРєСЂР°С‚С†Рµ РїРѕРіРѕРІРѕСЂРёРј Рѕ РІР°С€РµР№ РєР°СЂСЊРµСЂРµ? Р§С‚Рѕ РІС‹ СЃС‡РёС‚Р°РµС‚Рµ РµРµ РѕСЃРЅРѕРІРЅС‹Рј РјРѕРјРµРЅС‚РѕРј? - РљРѕРЅРµС‡РЅРѕ Р¶Рµ, РјРѕР№ РіР»Р°РІРЅС‹Р№ С…РёС‚ РЅР° СЃРµРіРѕРґРЅСЏ СЌС‚Рѕ "Since You've Been Gone", РЅРѕ СЏ РЅР°РґРµСЋСЃСЊ, С‡С‚Рѕ "In A Moment Like This" СЃРјРѕР¶РµС‚ РїСЂРµРІР·РѕР№С‚Рё РµРіРѕ РґРѕСЃС‚РёР¶РµРЅРёСЏ. - РљСЂРёСЃС‚РёРЅР°, РєР°РєРѕРІР° РІР°С€Р° СЂРѕР»СЊ РІ Р»РµРіРµРЅРґР°СЂРЅС‹С… "Kid Creole & The Coconuts"? Р“СЂСѓРїРїР° РІСЃРµ РµС‰Рµ СЃСѓС‰РµСЃС‚РІСѓРµС‚? - РЇ РїРѕСЋ Р±СЌРє-РІРѕРєР°Р»С‹ Рё СЃРѕР»РёСЂСѓСЋ РІ РѕРґРЅРѕР№ РёР»Рё РґРІСѓС… РїРµСЃРЅСЏС… РЅР° РєР°Р¶РґРѕРј РєРѕРЅС†РµСЂС‚Рµ. Р“СЂСѓРїРїР° РІСЃРµ РµС‰Рµ Р°РєС‚РёРІРЅРѕ РіР°СЃС‚СЂРѕР»РёСЂСѓРµС‚ СЃРѕ СЃРІРѕРµРёРј С„Р°РЅС‚Р°СЃС‚РёС‡РµСЃРєРёРј РєРѕРЅС†РµСЂС‚РЅС‹Рј С€РѕСѓ. - РџСЂРёРЅРёРјР°Р»Рё Р»Рё РІС‹ СѓС‡Р°СЃС‚РёРµ РІ РєР°РєРёС…-Р»РёР±Рѕ РµС‰Рµ РјСѓР·С‹РєР°Р»СЊРЅС‹С… РєРѕРЅРєСѓСЂСЃР°С…? Р›СЋР±РёС‚Рµ Р»Рё РІС‹ СЃРѕРїРµСЂРЅРёС‡РµСЃС‚РІРѕ РІРѕРѕР±С‰Рµ? РљСЂРёСЃС‚РёРЅР°: РЇ РїСЂРёРЅРёРјР°Р»Р° СѓС‡Р°СЃС‚РёРµ РІ РЅРµРєРѕС‚РѕСЂС‹С… РєРѕРЅРєСѓСЂСЃР°С… РґР»СЏ Р°РІС‚РѕСЂРѕРІ РїРµСЃРµРЅ Рё РёСЃРїРѕР»РЅРёС‚РµР»РµР№ РІ РїРѕРґСЂРѕСЃС‚РѕРєРѕРІРѕРј РІРѕР·СЂР°СЃС‚Рµ Рё С‚Р°РєР¶Рµ РїРѕР±РµР¶РґР°Р»Р° РЅР° РјРЅРѕРіРёС… РёР· РЅРёС…. Р’ РїРѕСЃР»РµРґРЅРёРµ РіРѕРґС‹, РїСЂР°РІРґР° СѓР¶Рµ РЅРµ СѓС‡Р°СЃС‚РІСѓСЋ РІ РЅРёС…. РЇ РґСѓРјР°СЋ, С‡С‚Рѕ СЃ Р¤Р°Р±СЂРёРєР°РјРё Р—РІРµР·Рґ Рё РґСЂСѓРіРёРјРё РїРѕРґРѕР±РЅС‹РјРё С€РѕСѓ РјСѓР·С‹РєР° СЃС‚Р°Р»Р° РїСЂРµРІСЂР°С‰Р°С‚СЊСЃСЏ РІ СЃРѕСЂРµРІРЅРѕРІР°РЅРёРµ. РњСѓР·С‹РєР°РЅС‚С‹ Рё РїРµРІС†С‹ РїРµСЂРµСЃС‚Р°Р»Рё РІРёРґРµС‚СЊ РІ РґСЂСѓРі РґСЂСѓРіРµ РєРѕР»Р»РµРі, Р° РІРёРґСЏС‚ С‚РѕР»СЊРєРѕ СЃРѕРїРµСЂРЅРёРєРѕРІ. - РљР°РєРѕР№ РІР°С€ Р»СЋР±РёРјС‹Р№ СЃС‚РёР»СЊ РјСѓР·С‹РєРё? РљС‚Рѕ РёР· РёСЃРїРѕР»РЅРёС‚РµР»РµР№ РѕРєР°Р·Р°Р» РЅР° РІР°СЃ РЅР°РёР±РѕР»СЊС€РµРµ РІР»РёСЏРЅРёРµ? РўРѕРјР°СЃ: РњРЅРµ РЅСЂР°РІСЏС‚СЃСЏ РњР°Р№РєР» Р”Р¶РµРєСЃРѕРЅ, РЎС‚РёРІРё РЈР°РЅРґРµСЂ, Metallica, РђР»Р»Р° РџСѓРіР°С‡РµРІР°, РљСЂРёСЃС‚РёРЅР° РћСЂР±Р°РєР°Р№С‚Рµ, Basement Jaxx, The Police, ABBA, РўРёРјР±Р°Р»РµРЅРґ, Р”Р¶РѕРЅ Р›РµРґР¶РµРЅРґ Рё РјРЅРѕРіРѕ РґСЂСѓРіРёС… Р°СЂС‚РёСЃС‚РѕРІ. РљСЂРёСЃС‚РёРЅР°: РњРЅРµ С‚РѕР¶Рµ РЅСЂР°РІСЏС‚СЃСЏ Р”Р¶РµРєСЃРѕРЅ Рё РЈР°РЅРґРµСЂ. РЇ С‚Р°РєР¶Рµ РјРЅРѕРіРѕ СЃР»СѓС€Р°СЋ Р”Р¶РѕРЅР° РњСЌР№РѕСЂР°, РЈРёС‚РЅРё РҐСЊСЋСЃС‚РѕРЅ, Р РѕР±Р±Рё РЈРёР»СЊСЏРјСЃР°, Р­Р»Р°РЅРёСЃ РњРѕСЂРёСЃРµС‚С‚ Рё РљРµР№ Р”Рё Р›СЌРЅРі. - РњС‹ СЃР»С‹С€Р°Р»Рё, С‡С‚Рѕ РІС‹ СЂР°Р±РѕС‚Р°РµС‚Рµ РЅР°Рґ СЃРѕРІРјРµСЃС‚РЅС‹Рј Р°Р»СЊР±РѕРјРѕРј? РњРѕР¶РµС‚Рµ СЂР°СЃСЃРєР°Р·Р°С‚СЊ С‡С‚Рѕ-С‚Рѕ Рѕ РЅРµРј? - РњС‹ РїР»Р°РЅРёСЂСѓРµРј РІС‹РїСѓСЃС‚РёС‚СЊ РµРіРѕ РІ РјР°Рµ 2010. РќР° РЅРµРј Р±СѓРґРµС‚ РјРЅРѕРіРѕ СЃРёР»СЊРЅРѕР№ Рё СЂР°РґРѕСЃС‚РЅРѕР№ РїРѕРї РјСѓР·С‹РєРё. - Р� РЅР°С€ РѕР±С‹С‡РЅС‹Р№ РІРѕРїСЂРѕСЃ, РєРѕС‚РѕСЂС‹Р№ Р±СѓРґРµС‚ Р»РµРіРєРёРј РґР»СЏ РўРѕРјР°СЃР°, РєС‚Рѕ РёР· РёСЃРїРѕР»РЅРёС‚РµР»РµР№ СЃС‚СЂР°РЅ РЎРќР“ РІР°Рј РЅСЂР°РІРёС‚СЃСЏ, РєРѕРіРѕ Р±С‹ РІС‹ РјРѕРіР»Рё РЅР°Р·РІР°С‚СЊ? - РњРЅРµ РЅСЂР°РІСЏС‚СЃСЏ A-Studio, РђРіСѓС‚РёРЅ, Р’Р�РђР“СЂР° СЃ РЈРєСЂР°РёРЅС‹, РџРµС‚СЂ РќР°Р»РёС‡, РљСЂРёСЃС‚РёРЅР° РћСЂР±Р°РєР°Р№С‚Рµ, Р›СЋР±Р° РЈСЃРїРµРЅСЃРєР°СЏ. - Р�, РЅР°РєРѕРЅРµС†, РµСЃР»Рё Сѓ РІР°СЃ РµСЃС‚СЊ С‡С‚Рѕ РґРѕР±Р°РІРёС‚СЊ С‡РёС‚Р°С‚РµР»СЏРј РЅР°С€РµРіРѕ СЃР°Р№С‚Р°, С‚Рѕ РІС‹ РјРѕР¶РµС‚Рµ СЃРґРµР»Р°С‚СЊ СЌС‚Рѕ СЃРµР№С‡Р°СЃ. - РњС‹ РЅР°РґРµРµРјСЃСЏ, С‡С‚Рѕ РІР°Рј РїРѕРЅСЂР°РІРёР»Р°СЃСЊ РЅР°С€Р° РїРµСЃРЅСЏ. Р’С‹ СѓР¶Рµ РјРѕР¶РµС‚Рµ СѓСЃР»С‹С€Р°С‚СЊ Рё РїРѕСЃРјРѕС‚СЂРµС‚СЊ РЅР° РЅРµРµ РЅР° Youtube. - РЎРїР°СЃРёР±Рѕ Р·Р° РёРЅС‚РµСЂРІСЊСЋ, СѓРґР°С‡Рё РІ РїРѕРґРіРѕС‚РѕРІРєРµ Рё СѓРІРёРґРёРјСЃСЏ РІ РћСЃР»Рѕ! 10/02 "We hope to win Eurovision 2010", said Danish winning couple N'Evergreen and Chanee, answering questions at publicum.dk. Tomas, however, admitted being concerned that Russia has been drawn in the different semifinals with Denmark, but expressed hope that in final many Eastern European countries will support their bid. "Our song is about two people who have been separated, but now are together again", explained singers. Answering the question about similarity of their song to Police and Tina Turner hits, singers said: "Well, it's quite deliberate that we use elements of production that have been inspired by earlier hits. But the song itself is very original. There are no melody lines, or lyrics taken from other songs, so there is no question of copyrights infringement". Being asked whether they are afraid if Sting may sue them singers jokingly responded: "No, we are not the songwriters, so we are not". The duet has informed that their partnership will not be limited by one song, they will have a joint tour and will record several more duets. Next month they will be working on an album that will include both duets and solo entries, which will be released shortly after Eurovision. It has also been revealed that "In a Moment Like This" has been submitted for participation in 2009 Melodifestivalen in Sweden and Dansk Melodi Grand Prix, but rejected at that time. However, Swedish songwriters think that song has a Danish feeling in it, thus they never thought on submitting in in other countries. "РњС‹ РЅР°РґРµРµРјСЃСЏ РѕРґРµСЂР¶Р°С‚СЊ РїРѕР±РµРґСѓ РЅР° Р•РІСЂРѕРІРёРґРµРЅРёРё 2010", СЃРєР°Р·Р°Р»Рё РїРѕР±РµРґРёС‚РµР»Рё Р”Р°С‚СЃРєРѕРіРѕ РѕС‚Р±РѕСЂР° N'Evergreen Рё Chanee, РѕС‚РІРµС‡Р°СЏ РЅР° РІРѕРїСЂРѕСЃС‹ С‡РёС‚Р°С‚РµР»РµР№ publicum.dk. РўРѕРјР°СЃ, РѕРґРЅР°РєРѕ, РїСЂРёР·РЅР°Р»СЃСЏ, С‡С‚Рѕ РЅРµСЃРєРѕР»СЊРєРѕ РѕР±РµСЃРїРѕРєРѕРµРЅ С‚РµРј, С‡С‚Рѕ Р РѕСЃСЃРёСЏ Рё Р”Р°РЅРёСЏ РїРѕРїР°Р»Рё РІ СЂР°Р·РЅС‹Рµ РїРѕР»СѓС„РёРЅР°Р»С‹, РЅРѕ РІС‹СЂР°Р·РёР» РЅР°РґРµР¶РґСѓ, С‡С‚Рѕ РІ С„РёРЅР°Р»Рµ Р±РѕР»СЊС€РёРЅСЃС‚РІРѕ РІРѕСЃС‚РѕС‡РЅРѕ РµРІСЂРѕРїРµР№СЃРєРёС… СЃС‚СЂР°РЅ РїРѕРґРґРµСЂР¶РёС‚ РёС… Р·Р°СЏРІРєСѓ. "РќР°С€Р° РїРµСЃРЅСЏ СЂР°СЃСЃРєР°Р·С‹РІР°РµС‚ Рѕ РґРІСѓС… Р»СЋРґСЏС…, РєРѕС‚РѕСЂС‹Рµ Р±С‹Р»Рё СЂР°Р·Р»СѓС‡РµРЅС‹, РЅРѕ СЃРµР№С‡Р°СЃ СЃРЅРѕРІР° РІРјРµСЃС‚Рµ", РѕР±СЉСЏСЃРЅРёР»Рё РїРµРІС†С‹. РћС‚РІРµС‡Р°СЏ РЅР° РІРѕРїСЂРѕСЃ Рѕ РїРѕС…РѕР¶РµСЃС‚Рё РёС… РїРµСЃРЅРё РЅР° С…РёС‚С‹ Police Рё РўРёРЅС‹ РўРµСЂРЅРµСЂ, РёСЃРїРѕР»РЅРёС‚РµР»Рё Р·Р°СЏРІРёР»Рё: "Р”Р°, СЌС‚Рѕ Р±С‹Р»Рѕ СЃРґРµР»Р°РЅРѕ РЅР°РјРµСЂРµРЅРЅРѕ, С‡С‚Рѕ РјС‹ РёСЃРїРѕР»СЊР·РѕРІР°Р»Рё РєР°РєРёРµ-СЌС‚Рѕ СЌР»РµРјРµРЅС‚С‹ РїСЂРѕРґР°РєС€РµРЅР°, РєРѕС‚РѕСЂС‹Рµ Р±С‹Р»Рё РІРґРѕС…РЅРѕРІР»РµРЅС‹ Р±РѕР»РµРµ СЂР°РЅРЅРёРјРё С…РёС‚Р°РјРё. РќРѕ СЃР°РјР° РїРµСЃРЅСЏ РІРµСЃСЊРјР° РѕСЂРёРіРёРЅР°Р»СЊРЅР°. РќРµС‚ РєР°РєРёС…-С‚Рѕ РїРѕРІС‚РѕСЂРѕРІ РІ РјРµР»РѕРґРёРё, РёР»Рё Р·Р°РёРјСЃС‚РІРѕРІР°РЅРёР№ РІ С‚РµРєСЃС‚Рµ РёР· РґСЂСѓРіРёС… РїРµСЃРµРЅ, РїРѕСЌС‚РѕРјСѓ РІРѕРїСЂРѕСЃ Рѕ РЅР°СЂСѓС€РµРЅРёРё Р°РІС‚РѕСЂСЃРєРёС… РїСЂР°РІ РЅРµ СЃС‚РѕРёС‚". РќР° РІРѕРїСЂРѕСЃ, РЅРµ Р±РѕСЏС‚СЊСЃСЏ Р»Рё РѕРЅРё, С‡С‚Рѕ РЎС‚РёРЅРі РјРѕР¶РµС‚ РїРѕРґР°С‚СЊ РЅР° РЅРёС… РІ СЃСѓРґ, РїРµРІС†С‹ РІ С€СѓС‚РєСѓ РѕС‚РјРµС‚РёР»Рё: "РќРµС‚, РјС‹ Р¶Рµ РЅРµ РєРѕРјРїРѕР·РёС‚РѕСЂС‹ СЌС‚РѕР№ РїРµСЃРЅРё, РїРѕСЌС‚РѕРјСѓ РЅРµ Р±РѕРёРјСЃСЏ". Р”СѓСЌС‚ СЂР°СЃСЃРєР°Р·Р°Р», С‡С‚Рѕ РёС… РїР°СЂС‚РЅРµСЂСЃС‚РІРѕ РЅРµ РѕРіСЂР°РЅРёС‡РёС‚СЃСЏ РѕРґРЅРёРј С…РёС‚РѕРј, РѕРЅРё РїР»Р°РЅРёСЂСѓСЋС‚ СЃРѕРІРјРµСЃС‚РЅРѕРµ С‚СѓСЂРЅРµ Рё Р·Р°РїРёС€СѓС‚ РµС‰Рµ РЅРµСЃРєРѕР»СЊРєРѕ РґСѓСЌС‚РЅС‹С… РїРµСЃРµРЅ. Р’ СЃР»РµРґСѓСЋС‰РµРј РјРµСЃСЏС†Рµ РѕРЅРё Р±СѓРґСѓС‚ СЂР°Р±РѕС‚Р°С‚СЊ РЅР°Рґ Р°Р»СЊР±РѕРјРѕРј, РІ РєРѕС‚РѕСЂС‹Р№ РІРѕР№РґСѓС‚ РєР°Рє СЃРѕР»Рѕ РєРѕРјРїРѕР·РёС†РёРё, С‚Р°Рє Рё РґСѓСЌС‚С‹, РѕРЅ РІС‹Р№РґРµС‚ РІ СЃРІРµС‚ РІСЃРєРѕСЂРµ РїРѕСЃР»Рµ Р•РІСЂРѕРІРёРґРµРЅРёСЏ. РўР°РєР¶Рµ, СЃС‚Р°Р»Рѕ РёР·РІРµСЃС‚РЅРѕ Рѕ С‚РѕРј, С‡С‚Рѕ "In a Moment Like This" РїРѕРґР°РІР°Р»Р°СЃСЊ РЅР° СѓС‡Р°СЃС‚РёРµ РІ РЁРІРµРґСЃРєРѕРј РњРµР»РѕРґРёС„РµСЃС‚РёРІР°Р»РµРЅРµ Рё Р”Р°С‚СЃРєРѕРј РѕС‚Р±РѕСЂРµ 2009 РіРѕРґР°, РЅРѕ Р±С‹Р»Р° РѕС‚РєР»РѕРЅРµРЅР° РѕСЂРіР°РЅРёР·Р°С‚РѕСЂР°РјРё. РћРґРЅР°РєРѕ, С€РІРµРґСЃРєРёРµ Р°РІС‚РѕСЂС‹ РїРµСЃРЅРё РѕР±СЉСЏСЃРЅСЏСЋС‚, С‡С‚Рѕ РїРѕ РёС… РјРЅРµРЅРёСЋ РІ РЅРµР№ РїСЂРёСЃСѓС‚СЃС‚РІСѓРµС‚ РЅРµРєРёР№ РґР°С‚СЃРєРёР№ РґСѓС…, Рё РїРѕСЌС‚РѕРјСѓ РІРѕРїСЂРѕСЃ Рѕ РµРµ РїРѕРґР°С‡Рµ РІ РґСЂСѓРіРёРµ СЃС‚СЂР°РЅС‹ РґР°Р¶Рµ РЅРµ РїРѕРґРЅРёРјР°Р»СЃСЏ. 12/01 The ten songs to compete in the Danish Melodi Grand Prix 2010 have been revealed by the broadcaster DR. Seven of them have been chosen from the total of 562 submissions, received by DR, while the remaining three are invited by DR as a wildcards. All ten songs will equally take part in the big Grand Prix finale, which takes place in Gigantium in Aalborg and is broadcasted by DR1 on 6th February. Tickets for the show can be booked online here. 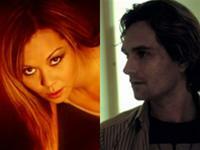 Felix Smith and Julie Berthelsen will host the show, they will be assited by Jorgen de Mylius and Keld Heick. Bryan Rice has released 2 albums and participated in DMGP last year, as one of the songwriters of Christina Undhjem's "Underneath My Skin". 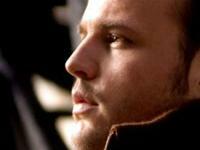 His debut single, "No Promises", was covered by British X-Factor winner Shayne Ward and was a major worldwide hit. Kaya BrГјel is the daughter of jazz singer Birgit BrГјel, who represented Denmark in ESC 1965. The girl-trio Sukkerchok participated last year at the Danish Melodi Grand Prix, ending up equal 3rd. If qualified to Eurovision they will perform their song in English. Joachim Tranberg won the casting show "Elsk mig i nat" on Channel 5 and is currently co-starring in the musical of the same name. 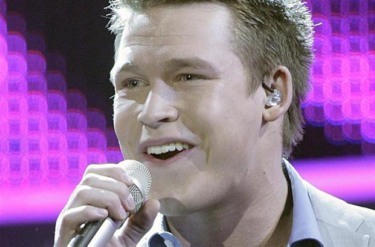 He will participate with a song composed by last year's authors of the Danish entry, including Ireland's Ronan Keating. 6 years ago Simone won the competition Scenen er din, on TV2, in 2007, she was the interval act in one of the DMGP 07 semifinals, and this year she competes with a song written by Jacob Launbjerg, the man behind ESC entries back in 2005 and 2008. Silas Holst won the 2004 Danish latin dance championship and has taken part in 2 Danish seasons of "Strictly Come Dancing", finishing 2nd in 2009. Kat Thisted in the lead singer of The Kat. 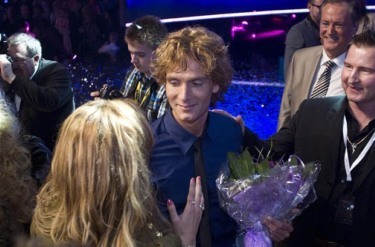 Simon Munk co-wrote "Drama Queen", the Danish entry in ESC 2007. Faroeran Jens Marni enters the competition with a song composed by Noam Halby from the popular band Johnny Deluxe, former act at MGP and Svend Gudiksen - co-writer of "All Night Long", Denmark's entry in ESC 2008. 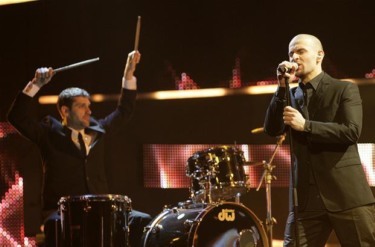 MariaMatilde Band will present one of the only two songs in Danish, co-written among others by Marcus Winter-John who previously co-wrote "La teva decisiГі", Andorra's entry in ESC 2009. Thomas BarsГёe is known abroad, especially in Japan, where he has topped the charts, and in California, where he lives. Tomas N'Evergreen took part in Russian preselection 2009. Christina ChanГ©e is known by many Danes as the lead singer of Sanne Salomonsen Jam. Their song is co-written by Swedish Eurovision veteran Thomas G:son. Р”РµСЃСЏС‚СЊ РїРµСЃРµРЅ, РєРѕС‚РѕСЂС‹Рµ РїСЂРёРјСѓС‚ СѓС‡Р°СЃС‚РёРµ РІ Р”Р°С‚СЃРєРѕРј Melodi Grand Prix 2010 Р±С‹Р»Рё РЅР°Р·РІР°РЅС‹ С‚РµР»РµРєРѕРјРїР°РЅРёРµР№ DR. РЎРµРјСЊ РёР· РЅРёС… Р±С‹Р»Рё РІС‹Р±СЂР°РЅС‹ РёР· С‡РёСЃР»Р° 562 Р·Р°СЏРІРѕРє, РїРѕР»СѓС‡РµРЅРЅС‹С… С‚РµР»РµРєР°РЅР°Р»РѕРј, Р° РѕСЃС‚Р°РІС€РёРµСЃСЏ С‚СЂРё Р±С‹Р»Рё РїСЂРёРіР»Р°С€РµРЅС‹ РЅР°РїСЂСЏРјСѓСЋ РІ РєР°С‡РµСЃС‚РІРµ wildcard. Р’СЃРµ 10 РїРµСЃРµРЅ РїСЂРёРјСѓС‚ СѓС‡Р°СЃС‚РёРµ РІ С„РёРЅР°Р»СЊРЅРѕРј СЂР°СѓРЅРґРµ РѕС‚Р±РѕСЂР°, РєРѕС‚РѕСЂС‹Р№ РїСЂРѕР№РґРµС‚ 6РіРѕ С„РµРІСЂР°Р»СЏ РЅР° Р°СЂРµРЅРµ Gigantium РІ РћР»СЊР±РѕСЂРіРµ. Р‘РёР»РµС‚С‹ РЅР° С€РѕСѓ РјРѕР¶РЅРѕ Р·Р°РєР°Р·Р°С‚СЊ Р·РґРµСЃСЊ. Р•РіРѕ РІРµРґСѓС‰РёРјРё СЃС‚Р°РЅСѓС‚ Felix Smith Рё Julie Berthelsen, РєРѕС‚РѕСЂС‹Рј РїРѕРјРѕРіСѓС‚ Jorgen de Mylius Рё Keld Heick. Bryan Rice РІС‹РїСѓСЃС‚РёР» 2 Р°Р»СЊР±РѕРјР° Рё РїСЂРёРЅРёРјР°Р» СѓС‡Р°СЃС‚РёРµ РІ DMGP РІ РїСЂРѕС€Р»РѕРј РіРѕРґСѓ РєР°Рє РѕРґРёРЅ РёР· Р°РІС‚РѕСЂРѕРІ РїРµСЃРЅРё Christina Undhjem "Underneath My Skin". Р•РіРѕ РґРµР±СЋС‚РЅС‹Р№ СЃРёРЅРіР» "No Promises" Р±С‹Р» РїРµСЂРµРїРµС‚ РїРѕР±РµРґРёС‚РµР»СЊРЅРёС†РµР№ Р±СЂРёС‚Р°РЅСЃРєРѕР№ X-Factor Shayne Ward Рё СЃС‚Р°Р» РјРёСЂРѕРІС‹Рј С…РёС‚РѕРј. Kaya BrГјel - РґРѕС‡СЊ РґР¶Р°Р·РѕРІРѕР№ РїРµРІРёС†С‹ Birgit BrГјel, РєРѕС‚РѕСЂР°СЏ РїСЂРµРґСЃС‚Р°РІР»СЏР»Р° Р”Р°РЅРёСЋ РІ Р•РІСЂРѕРІРёРґРµРЅРёРё 1965. РўСЂРёРѕ Sukkerchok РїСЂРёРЅРёРјР°Р»Рѕ СѓС‡Р°СЃС‚РёРµ РІ Danish Melodi Grand Prix РїСЂРѕС€Р»РѕРіРѕ РіРѕРґР°, СЂР°Р·РґРµР»РёРІ 3Рµ РјРµСЃС‚Рѕ. Р’ СЃР»СѓС‡Р°Рµ РїРѕР±РµРґС‹ РЅР° РѕС‚Р±РѕСЂРµ, РЅР° Р•РІСЂРѕРІРёРґРµРЅРёРё РёС… РїРµСЃРЅСЏ Р±СѓРґРµС‚ РёСЃРїРѕР»РЅРµРЅР° РЅР° Р°РЅРіР»РёР№СЃРєРѕРј. Joachim Tranberg РІС‹РёРіСЂР°Р» РєР°СЃС‚РёРЅРі С€РѕСѓ "Elsk mig i nat" РЅР° 5Рј РєР°РЅР°Р»Рµ Рё РІ РЅР°СЃС‚РѕСЏС‰РµРµ РІСЂРµРјСЏ РІС‹СЃС‚СѓРїР°РµС‚ РІ РјСЋР·РёРєР»Рµ РїРѕРґ С‚Р°РєРёРј Р¶Рµ РЅР°Р·РІР°РЅРёРµРј. РћРЅ РїСЂРёРјРµС‚ СѓС‡Р°СЃС‚РёРµ РІ РєРѕРЅРєСѓСЂСЃРµ СЃ РїРµСЃРЅРµР№, РЅР°РїРёСЃР°РЅРЅРѕР№ Р°РІС‚РѕСЂР°РјРё РїСЂРѕС€Р»РѕРіРѕРґРЅРµР№ РґР°С‚СЃРєРѕР№ РїРµСЃРЅРё РЅР° Р•РІСЂРѕРІРёРґРµРЅРёРё, РІРєР»СЋС‡Р°СЏ РёСЂР»Р°РЅРґС†Р° Р РѕРЅР°РЅР° РљРёС‚РёРЅРіР°. 6 Р»РµС‚ РЅР°Р·Р°Рґ РЎРёРјРѕРЅР° РїРѕР±РµРґРёР»Р° РІ РєРѕРЅРєСѓСЂСЃРµ Scenen er din РЅР° РєР°РЅР°Р»Рµ TV2, РІ 2007, РѕРЅР° РІС‹СЃС‚СѓРїР°Р»Р° РІ РєР°С‡РµСЃС‚РІРµ РёРЅС‚РµСЂРІР°Р»-Р°РєС‚Р° РІ РїРѕР»СѓС„РёРЅР°Р»Р°С… DMGP 07, Рё РІ СЌС‚РѕРј РіРѕРґСѓ РїСЂРёРЅРёРјР°РµС‚ СѓС‡Р°СЃС‚РёРµ СЃ РїРµСЃРЅРµР№, РєРѕС‚РѕСЂСѓСЋ РЅР°РїРёСЃР°Р» Jacob Launbjerg, Р°РІС‚РѕСЂ РґР°С‚СЃРєРёС… РїРµСЃРµРЅ РЅР° Р•РІСЂРѕРІРёРґРµРЅРёРё 2005 Рё 2008. Silas Holst СЃС‚Р°Р» РїРѕР±РµРґРёС‚РµР»РµРј Р§РµРјРїРёРѕРЅР°С‚Р° Р”Р°РЅРёРё РїРѕ Р»Р°С‚РёРЅСЃРєРёРј С‚Р°РЅС†Р°Рј 2004 Рё РїСЂРёРЅРёРјР°Р» СѓС‡Р°СЃС‚РёРµ РІ 2С… СЃРµР·РѕРЅР°С… "Strictly Come Dancing", СЃС‚Р°РІ 2Рј РІ 2009. Kat Thisted - СЃРѕР»РёСЃС‚РєР° РіСЂСѓРїРїС‹ The Kat. Simon Munk - СЃРѕР°РІС‚РѕСЂ "Drama Queen", РїСЂРµРґСЃС‚Р°РІР»СЏРІС€РµР№ Р”Р°РЅРёСЋ РЅР° Р•РІСЂРѕРІРёРґРµРЅРёРё 2007. Р–РёС‚РµР»СЊ Р¤Р°СЂРµСЂСЃРєРёС… РѕСЃС‚СЂРѕРІРѕРІ Jens Marni РїСЂРёРјРµС‚ СѓС‡Р°СЃС‚РёРµ РІ РєРѕРЅРєСѓСЂСЃРµ СЃ РїРµСЃРЅРµР№, РєРѕС‚РѕСЂСѓСЋ РЅР°РїРёСЃР°Р»Рё Noam Halby РёР· РїРѕРїСѓР»СЏСЂРЅРѕР№ РіСЂСѓРїРїС‹ Johnny Deluxe, РїСЂРёРЅРёРјР°РІС€РµР№ СЂР°РЅРµРµ СѓС‡Р°СЃС‚РёРµ РІ MGP Рё Svend Gudiksen - СЃРѕ-Р°РІС‚РѕСЂ "All Night Long", РїРµСЃРЅРё Р•РІСЂРѕРІРёРґРµРЅРёСЏ 2008. MariaMatilde Band РёСЃРїРѕР»РЅСЏС‚ РѕРґРЅСѓ РёР· 2С… РїРµСЃРµРЅ РЅР° РґР°С‚СЃРєРѕРј СЏР·С‹РєРµ, РєРѕС‚РѕСЂР°СЏ РЅР°РїРёСЃР°РЅР°, СЃСЂРµРґРё РїСЂРѕС‡РёС… Marcus Winter-John, СЃРѕ-Р°РІС‚РѕСЂРѕРј "La teva decisiГі", РїСЂРµРґСЃС‚Р°РІР»СЏРІС€РµР№ РђРЅРґРѕСЂСЂСѓ РЅР° Р•РІСЂРѕРІРёРґРµРЅРёРё 2009. Thomas BarsГёe РёР·РІРµСЃС‚РµРЅ Р·Р°СЂСѓР±РµР¶РѕРј, РѕСЃРѕР±РµРЅРЅРѕ РІ РЇРїРѕРЅРёРё, РіРґРµ РѕРЅ РІРѕР·РіР»Р°РІР»СЏР» С‡Р°СЂС‚С‹ Рё РІ РљР°Р»РёС„РѕСЂРЅРёРё, РіРґРµ РѕРЅ Р¶РёРІРµС‚. Tomas N'Evergreen РїСЂРёРЅРёРјР°Р» СѓС‡Р°СЃС‚РёРµ РІ СЂРѕСЃСЃРёР№СЃРєРѕРј РѕС‚Р±РѕСЂРµ 2009. Christina ChanГ©e РёР·РІРµСЃС‚РЅР° РєР°Рє СЃРѕР»РёСЃС‚РєР° Sanne Salomonsen Jam. Р�С… РїРµСЃРЅСЋ РЅР°РїРёСЃР°Р» С€РІРµРґСЃРєРёР№ РІРµС‚РµСЂР°РЅ Р•РІСЂРѕРІРёРґРµРЅРёСЏ Thomas G:son.